Paperback, 6.75 x 8 in. / 128 pgs / illustrated throughout. SNOOZE n. 1. The nicest moment of the day, between dreaming and waking, in a slumbering state of being. 2. Just one more push on the snooze button. 3. 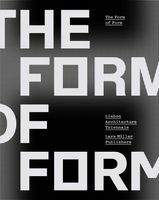 An exuberant exploration that couples the hallmarks of successful mass culture to the urban condition. What? 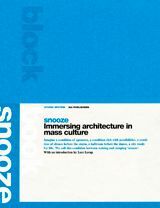 Snooze, the book, is a visual essay produced by the young Rotterdam-based architectural practice Studio Sputnik. 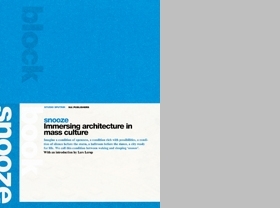 It purports to examine the ways in which architects can use mass culture. As any contemporary observer knows, mass culture is everywhere: it's a new network for mobile phones, it's a hip lifestyle magazine, it's a trendy brand of clothing. But until now, architecture and design have left the potential offered by mass culture virtually untouched. Snooze's lavish use of collages and diagrams based on flyers and advertisements makes for a mode of presentation directly related to the topic--but not style or form, commercial forces or technical ingenuity. Snooze is about popular experience and about hitching design to that experience. FORMAT: Paperback, 6.75 x 8 in. / 128 pgs / illustrated throughout.